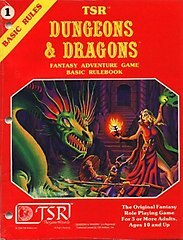 As the DM, you can offer quests and adventure hooks to the players. But you must wait until they tell you what quests they wish to undertake before you tell them what that quest entails. Players do not care about the quests you force on them. Once the players tell you what quest they wish to undertake, use these lists to tell them what they need to do to accomplish their quest. Pick maybe four or five things on the first list, I guess more if you want a really hard quest, and connect them with “and” or maybe “or.” Then flesh out the details using the four other lists. Don’t pick too many things or the quest will never end. When you tell the players what it will take to accomplish the quest, don’t keep details hidden, and don’t lie. This is a quest, not a mystery! If they are looking for a hidden lair or a lost treasure, fine, but put all the requirements out in the open, so they know what they have to do. Your job is to get them moving, not to hold them back. it will take days/weeks/months/years of labour. you have never heard of. that you have never heard of. and it will take months, maybe years, of labour. Luckily, he has a suitable (and specific) location already, and it has roads connecting it to the surrounding area, so he doesn’t need to build those too. In our game, he’s already spending most of his dungeoneering loot on supplies and labour. Now I’ve established that he needs to convince people to move in and he needs to get somebody to run the village. Where will he get those people from? I don’t care! That’s up to Dalamyr. Thank you for reading this far. If you have any suggestions for how to improve these lists, or if you use them in your game, please comment. I want to hear from you. Also, please note that these are supposed to be generic, so that lists tailored to specific locations in the game (and in other games) can use this framework. I’ll be writing more setting-specific lists later.